What You Should Know Before Buying an Affordable CNC Laser Machine? What is a CNC Laser Machine? A CNC laser machine is a CNC equipment that uses laser to engrave and cut metal/non-metal materials which is used in industrial manufacturing applications, school education, small businesses, home business, small shop, home shop, advertising industry, arts/crafts/gifts industry, packaging/printing industry, leather/clothing processing industry. CNC laser machines are used for engraving and cutting metal materials (steel, alloy, aluminum, copper, gold, etc.) and non-metal materials (wood, acrylic, leather, fabric, paper, foam, glass, etc.) into different shapes and patterns. CNC laser marking machines are divided into fiber laser marking machine and CO2 laser marking machine. As a guaranteed CNC laser machine supplier and manufacturer, STYLECNC provides all kinds of best CNC laser machine for sale to fit your engraving and cutting works. 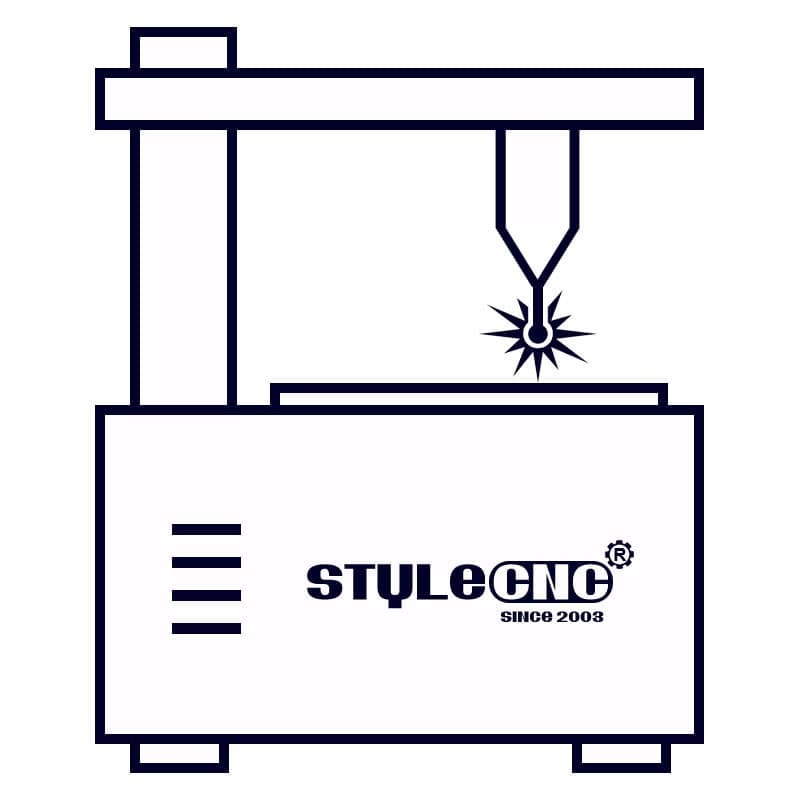 STYLECNC's CNC laser machines are equipped with genuine laser machine software, system and the best parts. STYLECNC offers ex-factory price for your CNC laser machine plans without any intermediate. You will get the best CNC laser machines with affordable price from us. STYLECNC also offers smart 2D/3D laser engraving and cutting solutions, 24/7 one-to-one free service and support, which is available free. We will recommend the most suitable laser machine to you after being informed by your requirements. We will offer you with our detail quotation according to the consulted laser machine. You will the most suitable laser machine specifications, the best laser machine accessories and the affordable laser machine price. Both sides carefully evaluate and discuss all the details of the order to exclude any misunderstanding. If you have no doubts, we will send the PI (Proforma Invoice) to you, and then we will sign a contract with you. We will arrange the CNC laser machine production as soon as receiving your signed sales contract and deposit . The latest news about production will be updated and informed to the laser machine buyer during the production. The whole production procedure will be under regular inspection and strict quality control. The complete CNC laser machine will be tested to make sure they can work very well before out of factory.